Swim with Sharks, Snorkel, Watch Whales, Dolphins, Turtles on the Beautiful North Shore of Oahu, Hawaii! We are honored to be your guides and to introduce you to the magnificent inhabitants of these North Shore ocean waters, the various species of sharks, whales and dolphins! Our licensed Captains and Divemasters / Dive Instructors are professionals with years of specific North Shore expertise with the local marine life. When you come out with our crew you will feel fulfilled beyond your expectations, educated in the ecology, behavior, and conservation of the sea life and the local Hawaiian traditions that honor them. 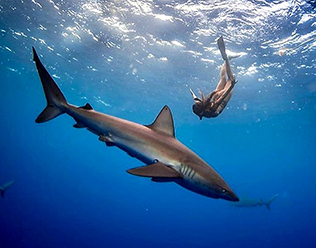 Our Open Water Pelagic Snorkeling Tour with Sharks on the North Shore of Oahu will be the highlight of your vacation! 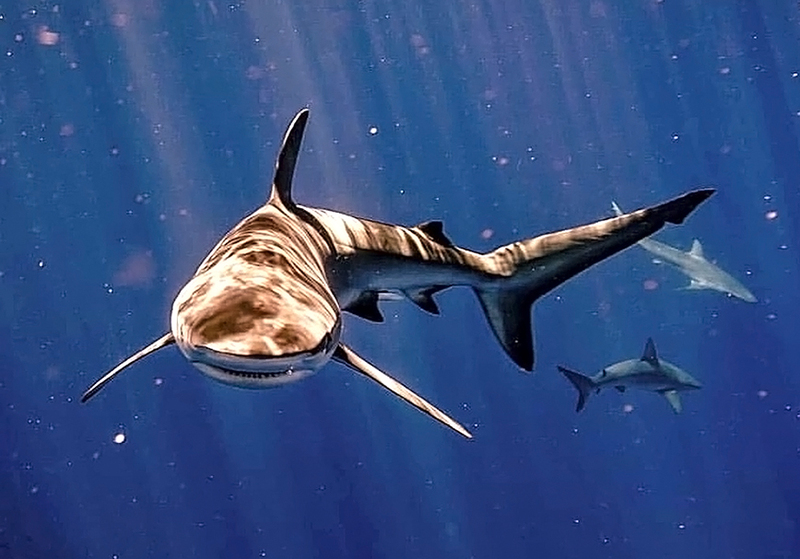 Want to swim with sharks on Oahu? If you are here for a Pelagic Snorkel Dive, the pelagic creatures are here for you! 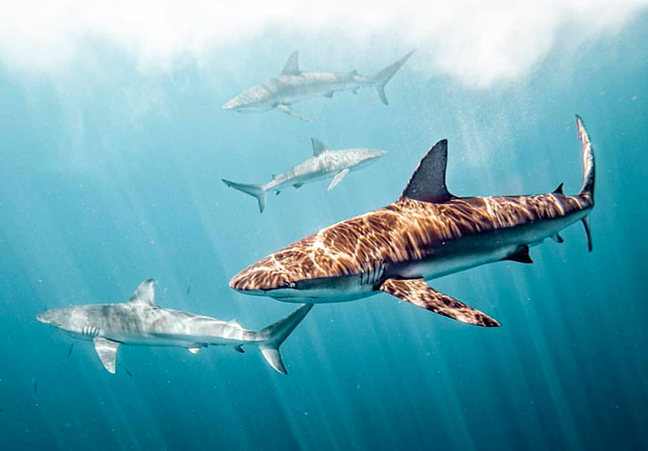 We look forward to you meeting them, learning more than you ever imagined and leaving with a new found love and a calm respect for these most beautiful apex predators of the sea! Scuba diving experience is NOT required, this is a snorkeling freedive, and your Divemaster and Instructor will assist you to enjoy your experience and feel comfortable while snorkeling in the water. We encourage you to bring your own gear if you have it but if you don’t, we supply clean and sanitized mask, snorkel and fins onboard, free of charge! GoPro rentals too! We’ve got you covered and your safety and comfort is in our capable hands! We encourage both underwater and top-side photography while whale watching from Oahu’s scenic Waianae Mountain Range, the famed Kaena Point, the surrounding Haleiwa area including Waimea Bay and all the way North to Turtle Bay from out on the ocean during the 3 mile trip to and from the shark dive site! The underwater photo and video opportunity is spectacular in the crystal clear 600′ deep blue ocean water! 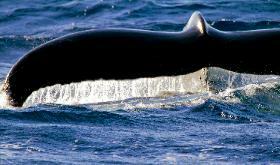 In the fall, winter and early spring months during whale season you will see the Humpback Whales and hear their unique whale songs. The protected Hawaiian Green Sea Turtles are a daily sight along with the occasional Monk Seal, Manta or Sting Ray sighting, and many varieties of sea birds including Boobies, Iwa (Frigate bird) and the giant Albatross! Now Let’s Go Get Wet And Meet Some New Friends!